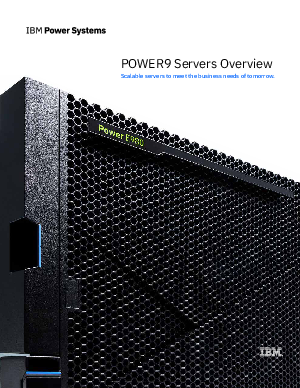 The latest IBM POWER9 Server is built for the most demanding, data-intensive, computing on earth with an enhanced core and chip architecture. It provides scalability and flexibility to handle changing customer needs while being cloud-ready with industry-leading reliability and performance. Find out more about these servers to meet the business needs of tomorrow.